MainOpEdsThank you Gideon Levy, keep on writing! You have exposed the untrammelled hate of the hard Left better than any pro-Israel writer or investigative journalist ever could. Recently in these columns (/Articles/Article.aspx/23172), veteran journalist and commentator Yochanan Visser wrote an article under the headline “Why Haaretz columnist Gideon Levy should be fired”. 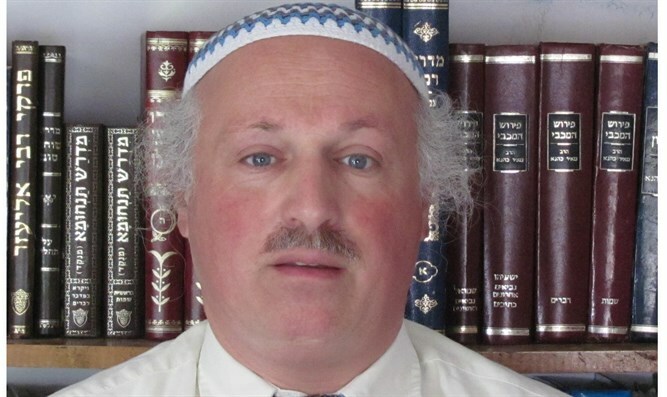 He cited Levy’s recent scurrilous – indeed, obscene – article written the day after the young couple Shira and Amichai Ish Ran, married for less than a year, were shot and badly wounded in a terrorist attack. Shira was 30 weeks pregnant; and the doctors in the Sha’arei Tzedek Hospital in Jerusalem did sterling work, delivering the tiny baby prematurely and desperately fighting to keep him alive. Tragically, the infant died, less than four days old, surrounded by his parents’ love, and the prayers of countless Jews and supporters of Israel, both in Israel and abroad. Of course any decent person shudders in disgust at Mr Levy’s callousness, his sheer inhumanity, his empathy with murder. You don’t have to be Jewish, or to support Israel or Zionism, to regard My Levy and his ideology as beneath contempt. You have only to be human. And of course Israel National News’s op-ed writer Yochanan Visser’s reaction that Haaretz columnist Gideon Levy should be fired is eminently understandable. But with all due respect to Mr Visser, I beg to disagree. First of all, it is unrealistic to expect Haaretz to fire Levy. Haaretz is, after all, the putrid swamp from which noxious weeds like Gideon Levy and other hate-filled fanatics sprout and flourish. Why should this gutter-rag fire one of their own for expressing their very own poisonous ideology? Seven years ago, the Jerusalem Post fired a fanatically left-wing op-ed writer, Larry Derfner, after he wrote an article justifying Arab terrorism against Jews and blaming Arab terrorism on Israel. But the Jerusalem Post is a serious newspaper has some sense of national responsibility. Haaretz, apparently, doesn’t even understand what the words “national responsibility” mean. Of course they won’t fire a writer for being anti-Israel and pro-terror. Gideon Levy, on the other hand, has done us all an invaluable service. Through his writing, he exposes the utter evil of the extreme Left in Israel. The Jew-hatred, the treason, the embracing of Jew-killing terrorists, the ultimate betrayal of everything Jewish – Mr Levy lays this bare for all to see. He has exposed the untrammelled hate of the hard Left better than any pro-Israel writer or investigative journalist ever could. In this context one remembers the once-famous and popular Israeli entertainer Dudu Topaz, who took centre stage in a Labour Party rally in Tel Aviv three days before the 1981 elections. “The tshakh’tshakhim of the Likud are the non-combat soldiers of the Army, if they even enlist in the Army”. That hard-to-transliterate-into-English-characters and hard-to-pronounce word tshakh’tshakhim is a highly derogatory term for Jews of Middle Eastern origin (particularly Moroccans). Not a pleasant word, laden with the inherent racist ideology of the then pure-white Labour Party. The speech was broadcast on Israeli TV, the electorate saw and heard this display of contempt with the apparent approval of Shimon Peres – and the result was a resounding Likud victory in the election. By exposing Labour’s real attitude towards non-Ashkenazi Jews, Dudu Topaz led Shimon Peres and Labour into yet another election defeat, and handed Menachem Begin and the Likud to yet another election victory. Gideon Levy, with his forthright honesty about his feelings, not even bothering to try to conceal his hatred for Jews and his contempt for human life, exposes the real face of the Left – the face which other, more polished and less honest, writers and politicians on the Left attempt to conceal. Gideon Levy is doing to the Left today what Dudu Topaz did to the Left 37 years ago. Gideon Levy has made a career of writing articles designed to infuriate Israelis and Jews everywhere. His lies, his distortions, his rants against Israel – these have contributed in no small measure to tens of thousands of ordinary Israelis cancelling their subscriptions to Haaretz over the years. 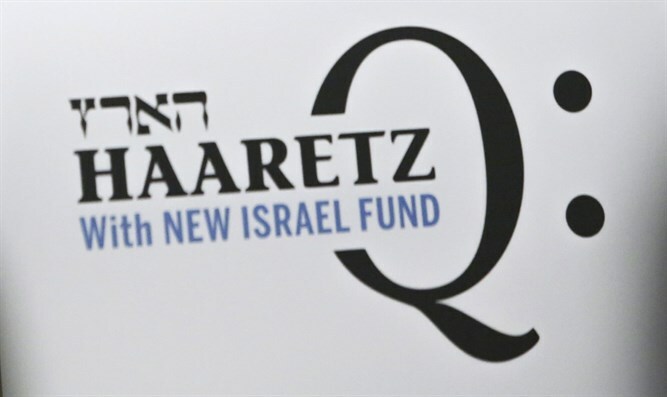 Haaretz has made gallant efforts over decades to acquire its reputation as an utterly untrustworthy publication. Few Israelis believe anything they read in its pages. It is no wonder that without its English-language online edition, Haaretz would long ago have gone bankrupt. And it is no coincidence that Haaretz’s English-language readership consists largely to self-professed Jew-haters, Holocaust-deniers, Hamas-supporters, and the like. About the only Israelis who still trust Haaretz are the outer fringes of the anti-Zionist Left – those who inhabit a bubble so impenetrable that they are not even aware of the contempt with which the vast majority of Israelis regard them. In this, they are eerily reminiscent of white supremacist and neo-Nazi groups in Europe and the USA. The kind who chant slogans denigrating African-Americans (of course, they use far more offensive terms than “African-Americans”), and fail to grasp that far from convincing anyone, they succeed merely in alienating virtually everyone whom they encounter. This is what Haaretz in general, and Gideon Levy in particular, succeed in accomplishing. So no, Gideon Levy shouldn’t be fired. With all the pain and hurt which he deliberately causes, he is ultimately doing far more good than harm. In other countries, at other times, this was the sort of rhetoric which influenced the masses and brought some of the vilest and most destructive governments ever into power. But the Israeli public is better than that. Gideon Levy’s violent and hate-filled words will convince virtually no one of the righteousness of his cause. He will – and indeed does – succeed, however, in discrediting his repugnant ideology and the equally loathsome newspaper which publishes him.